Quality Smithbilt new construction. 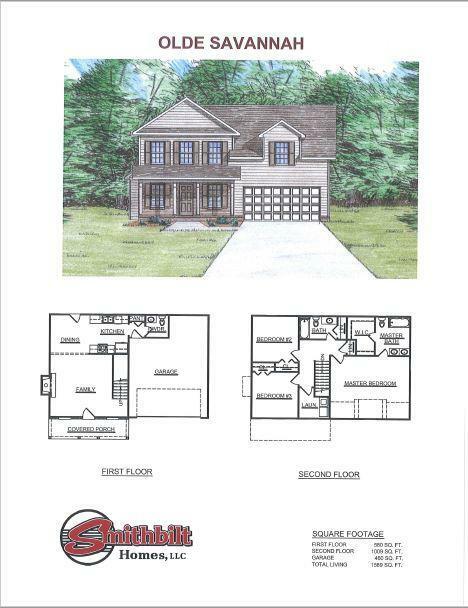 The Olde Savannah floor plan in Wells Creek Smithbilt's premium south Knoxville location. Convenient to McGhee Tyson Airport. This plan features 3 bedrooms, 2.5 baths with hardwood flooring in living room area. Pantry in kitchen. Walk in closet in master bedroom. Upgrades for this property include LVP flooring in living, dining and kitchen areas. Stainless appliances and upgraded faucet in kitchen. Come visit open house or visit www.smithbilthomes.com for more information.